I love a good slice of cake on special occasions, but I DON’T like leftover cake sitting on my kitchen counter for a week, tempting me every time I’m in the kitchen. 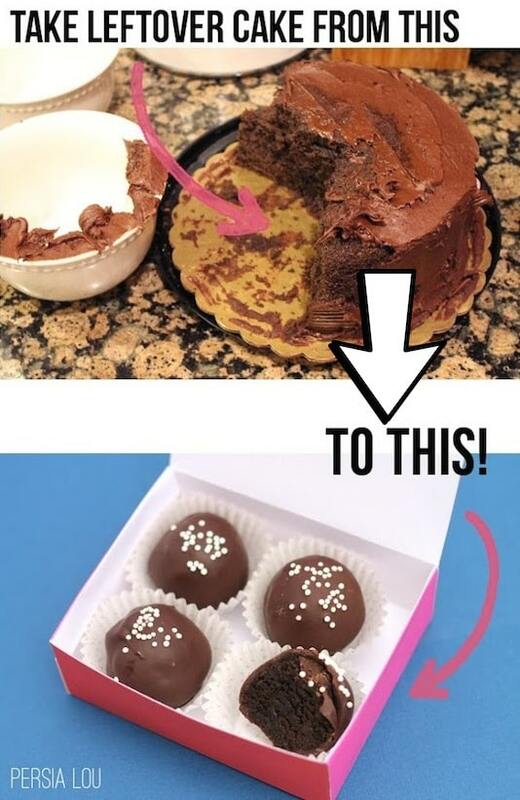 Instead, make these easy cake balls and give them away to your neighbors and friends! It’s so easy, and they make for adorable little gifts if you package them up in a little box. Throw your Thanksgiving leftovers (along with a few other ingredients) into the slow cooker and enjoy this delicious turkey & mashed potato chowder the next day! I love turning Thanksgiving dinner into something other than a boring turkey sandwich, don’t you? There is always leftover rice! It’s worse than pasta– you make enough to feed your entire neighborhood. 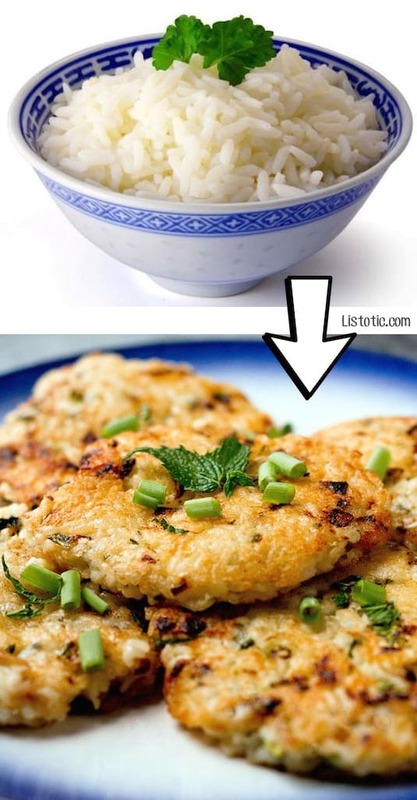 Throw some eggs, chopped veggies, and cheese into the mix to make tasty rice patties the next day! I could just eat these alone as a meal, but they would also be wonderful as a side dish served with grilled chicken or steak.